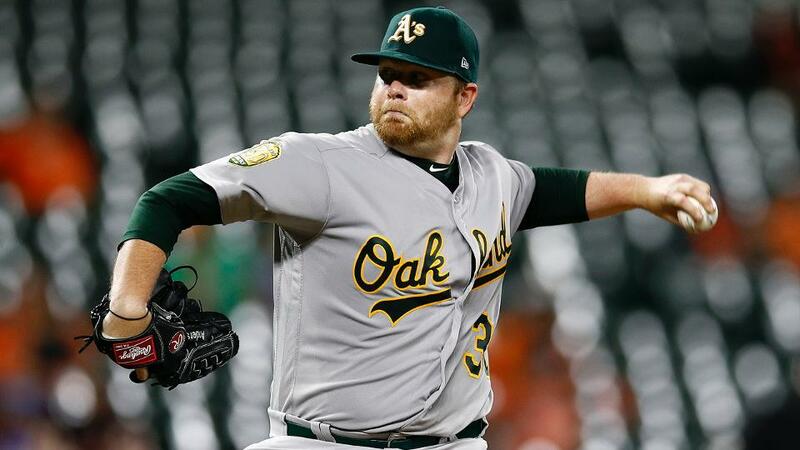 The A’s are bringing back free-agent southpaw Brett Anderson on a Major League deal, a source told MLB.com’s Jane Lee. The deal, which the club has not confirmed, is pending a completed physical. The San Francisco Chronicle was first to report the news. Oakland signed Anderson, 31, to a Minor League deal last March, and he pitched ably for the surprise American League Wild Card entrants by compiling a 4.48 ERA and 4.17 FIP over 17 starts. He’ll presumably enter the competition for spots in the A’s rotation, which is seen by many as the club’s biggest weakness heading into this season. Anderson, a second-round Draft choice of the D-backs in 2006, has gone 46-52 with a 4.09 ERA over 10 Major League seasons. This would be his third stint with Oakland; the A’s traded for him in December 2007 and he made his big league debut with the club in ’09. Injuries have limited Anderson to just 34 appearances (including 33 starts) over the last three seasons.